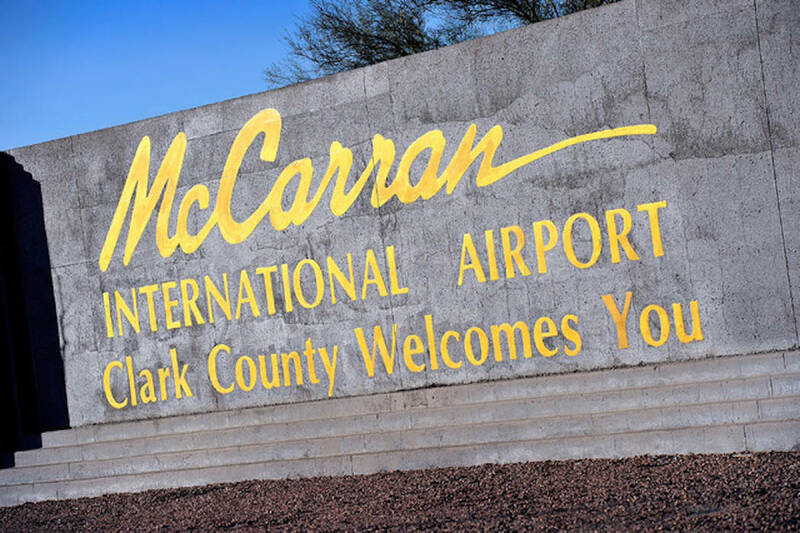 McCarran International and other airports across Nevada received federal grants to pay for a series of infrastructure improvements, the Federal Aviation Administration announced on Thursday. McCarran was awarded more than $8 million to help pay for extending a taxiway, FAA spokesman Ian Gregor said. It was unclear how much the extension would cost or when construction would begin. McCarran, the nation’s eighth-busiest airport, has logged increases in passenger traffic for 15 consecutive months. May marked the busiest month in the Las Vegas airport’s history with more than 4.36 million inbound and outbound travelers, topping the previous record set in October. “These Airport Improvement Program grants will ensure that safer, more efficient Southern Nevada airports remain economic engines and vital infrastructure components for their communities,” U.S. Department of Transportation Secretary Elaine Chao said in a statement. Boulder City Airport received $1.74 million to help rebuild a taxiway, extend a runway and fund several other improvements, Gregor said. Ely Airport, also known as Yelland Field, received $11.25 million to rehabilitate the runway. Elko Regional Airport was awarded $2.35 million to rebuild fencing around the airfield’s perimeter and make other improvements. Battle Mountain Airport in Lander County received $1 million to rebuild a taxiway and rehabilitate the runway. Derby Field in Lovelock was awarded $470,103 to purchase snow-removal equipment. Winnemucca Municipal Airport received $446,099 to rehabilitate the runway and acquire nearby land to accommodate incoming aircraft. Silver Springs Airport was awarded $425,000 to pay for fencing around the airfield’s perimeter and weather reporting equipment. Alamo Landing Field in Lincoln County received $300,000 to update its airport master plan study. Eureka Airport was awarded $223,250 to purchase snow-removal equipment.